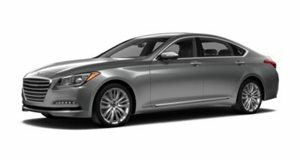 Just last week Hyundai released some teaser images of the newly redesigned 2012 Azera, called the Grandeur in South Korea. And now just before the holiday weekend, Hyundai has provided the first official photos of the finished car. Complete details are still unclear, mainly because the official company press release was written in Korean, but more details will be revealed leading up to its likely debut at the Detroit Auto Show later next month. Many may be wondering why this car is important at all for the automaker, considering they've been extremely successful with the launch of the mid-size Sonata. 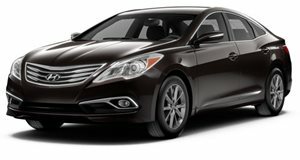 Don't forget to take into account they also have the Genesis and the also new Equus full-size large luxury sedans on their product portfolio. So what gives? Those two larger sedans are rear-drive only while the Sonata is front-drive. John Krafcik, CEO of Hyundai North America, stated that it was important to offer a full-size front-wheel drive sedan. The automaker specifically had in mind customers who reside in regions where rear-drive is unacceptable, mainly parts of the country that are prone to those winter blizzards. Others are just simply not interested in a rear-drive large sedan. Hopefully we'll have more details in the coming weeks.